Summer holidays just around the corner! I had a letter from the school yesterday with the date of the school sports day and the last day of the summer term! And boy they are close! After the initial questions– where does all the time go? Wasn’t it just Christmas? I realised it was time to manage the summer holidays! Yes manage! Despite juggling work, the unreliable weather and unrealistic expectations, the holidays can be a great time to reconnect with your family. Whether you manage to get away or not, it doesn’t matter we are spoilt here in Pembrokeshire – whatever the weather! Apart from the obvious - beautiful beaches and countryside - we have some great places to visit to keep all ages of the family happy. 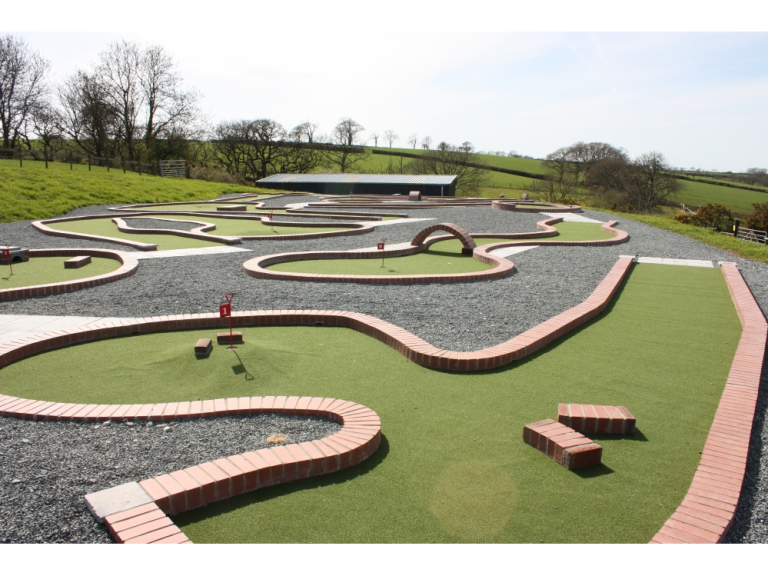 Clerkenhill Adventure Farm and Frizbee Golf Course has always had a lot to offer, and now has added a Crazy Golf course! Frizbee Golf follows similar rules to Golf but instead of hitting a ball with a club towards a hole in the ground you throw a Frisbee towards a basket! Your challenge is to do this in the least amount of throws. As with traditional golf each fairway has a par rating and varies in distance and difficulty. There are also additional obstacles and changes! Great for all ages and the competitive amongst you! And I don’t just mean the dads! The Crazy Golf in comparison is probably a little calmer! A 9 hole course suitable for all ages and is also great fun for all of the family. But this is not all! I ‘ll let you discover what the Adventure trail, Spooky woods, Potty walk (!) and Chicken run is all about! Of course there is a café (although you can bring a picnic) and gift shop too boot making this a great day off and out for all. Expect chatter boxes to talk about it all the way home and a sound night’s sleep all round! And I don’t just mean the dads!